When it comes to infusing an interior with modern sophistication, nothing beats the Midas touch. A spatter of gold, a swath of silver: Metallics can create a sense of luxury, edge, even playfulness. We've put together six brilliant pieces for gilding your space. For even more metallic fun, check out this great collection of shiny objects. Designed by Carl Auböck of the famed metal workshop, Werkstätte Auböck, this dynamic piece adds not only a touch of gold but a bit of visual interest as well. This gilded, antique-inspired wallpaper, designed by Karla Pruitt and screen-printed in Chicago, brings the gold to walls to create a feeling of pure luxury. Stainless steel may be the modern flatware standard, but warm-toned metals are making a comeback and we love this gold line by Cutipol for setting a table fit for a king. Istanbul-based design duo Seyhan Özdemir and Sefer Çağlar of Autoban took a page from Warren Platner's book for this chic gold-plated steel lamp. We love the taper of this lamp's stem, which comes in three sizes. For a touch of whimsy and shine we love this handmade, buoyant-like, trompe-l'œil table which slyly gives off the impression that a piece of glass is being levitated by small golden balloons. 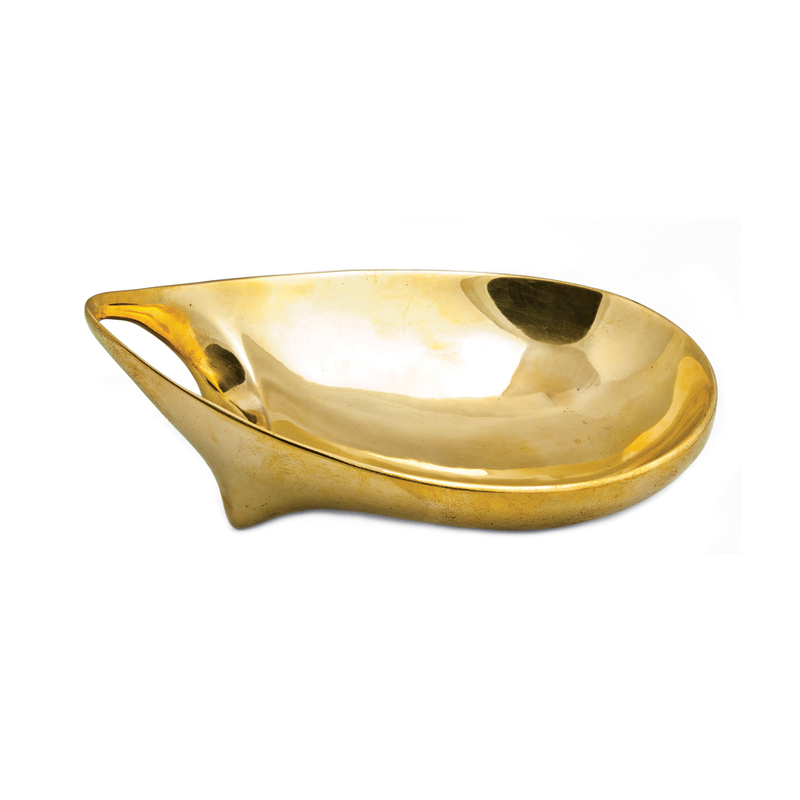 The Dauville hand-made nesting bowls are luxe and sophisticated in any setting. Just the splash of gold that everyone needs.